Diagram from the U.S. National Institute on Drug Abuse of a rat self-administering a drug.. Licensed under Public Domain via Wikimedia Commons. It is now one hundred years since drugs were first banned – and all through this long century of waging war on drugs, we have been told a story about addiction, by our teachers, and by our governments. This story is so deeply ingrained in our minds that we take it for granted. It seems obvious. It seems manifestly true. Until I set off three and a half years ago on a 30,000-mile journey to figure out what is really driving the drug war, I believed it too. But what I learned on the road is that almost everything we have been told about addiction is wrong – and there is a very different story waiting for us, if only we are ready to hear it. I had a quite personal reason to set out for these answers. One of my earliest memories as a kid is trying to wake up one of my relatives, and not being able to. Ever since then, I have been turning over the essential mystery of addiction in my mind – what causes some people to become fixated on a drug or a behavior until they can’t stop? How do we help those people to come back to us? As I got older, another of my close relatives developed a cocaine addiction, and I fell into a relationship with a heroin addict. I guess addiction felt like home to me. One of the ways this theory was first established is through rat experiments – ones that were injected into the American psyche in the 1980s, in a famous advert by the Partnership for a Drug-Free America. You may remember it. The experiment is simple. Put a rat in a cage, alone, with two water bottles. One is just water. The other is water laced with heroin or cocaine. 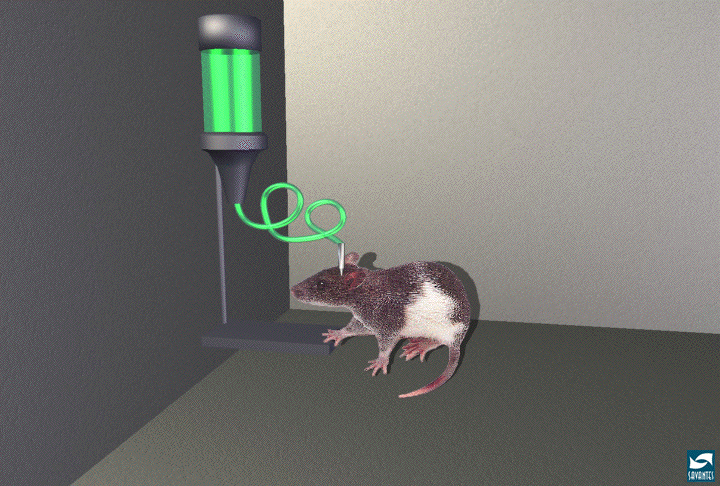 Almost every time you run this experiment, the rat will become obsessed with the drugged water, and keep coming back for more and more, until it kills itself. At first, I thought this was merely a quirk of rats, until I discovered that there was – at the same time as the Rat Park experiment – a helpful human equivalent taking place. It was called the Vietnam War. Time magazine reported using heroin was “as common as chewing gum” among U.S. soldiers, and there is solid evidence to back this up: some 20 percent of U.S. soldiers had become addicted to heroin there, according to a study published in the Archives of General Psychiatry. Many people were understandably terrified: they believed a huge number of addicts were about the head home when the war ended. But in fact, some 95 percent of the addicted soldiers – according to the same study – simply stopped. Very few had rehab. They shifted from a terrifying cage back to a pleasant one, so didn’t want the drug any more. After the first phase of Rat Park, Professor Alexander then took this test further. He reran the early experiments, where the rats were left alone, and became compulsive users of the drug. He let them use for fifty-seven days – if anything can hook you, it’s that. Then he took them out of isolation, and placed them in Rat Park. He wanted to know – if you fall into that state of addiction, is your brain hijacked, so you can’t recover? Do the drugs take you over? What happened is – again – striking. The rats seemed to have a few twitches of withdrawal – but they soon stopped their heavy use, and went back to having a normal life. The good cage saved them. When I first learned about this, I was puzzled. How can this be? This new theory is such a radical assault on what we have been told that it felt like it could not be true. But the most scientists I interviewed, and the more I looked at their studies, the more I discovered things that don’t seem to make sense – unless you take account of this new approach. Here’s one example of an experiment that is happening all around you, and may well happen to you one day. If you get run over today and you break your hip, you will probably be given diamorphine – the medical name for heroin. In the hospital around you, there will be plenty of people also given heroin for long periods, for pain relief. The heroin you will get from the doctor will have a much high purity and potency than the heroin being used by street-addicts, who have to buy from criminals who adulterate it. So if the old theory of addiction is right – it’s the drugs that cause it; they make your body need them – then it’s obvious what should happen. Loads of people should leave hospital and try to score smack on the streets, to meet their habit. But here’s the strange thing. It virtually never happens. As the Canadian doctor Gabor Mate was the first to explain to me, medical users just stop, despite months of use. The same drug, used for the same length of time, turns street-users into desperate addicts – and leaves medical patients unaffected. If you still believe – as I used to – that addiction is caused by chemical hooks, this makes no sense. But if you believe Bruce Alexander’s theory, the picture falls into place. The street-addict is like the rats in the first cage, isolated, alone, with only one source of solace to turn to. The medical patient is like the rats in the second cage. She is going home – to a life where she is surrounded by the people she love. The drug is the same, but the environment is different. This gives us an insight that goes much deeper than the need to understand addicts. Professor Peter Cohen argues that human beings have a deep need to bond and form connections. It’s how we get our satisfaction. If we can’t connect with each other, we will connect with anything we can find – the whirr of a roulette wheel or the prick of a syringe. He says we should stop talking about ‘addiction’ altogether, and instead call it ‘bonding’. A heroin addict has bonded with heroin because she couldn’t bond as fully with anything else. When I learned all this, I found it slowly persuading me, but I still couldn’t shake off a nagging doubt. Are these scientists saying chemical hooks make nodifference? It was explained to me – you can become addicted to gambling, and nobody thinks you inject a pack of cards into your veins. You can have all the addiction, and none of the chemical hooks. I went to a Gamblers’ Anonymous meeting in Las Vegas (with the permission of everyone present, who knew I was there to observe) and they were as plainly addicted as the cocaine and heroin addicts I have known in my life. Yet there are no chemical hooks on a craps table. This has huge implications for the one hundred year old war on drugs. This massive war – which, as I saw, kills people from the malls of Mexico to the streets of Liverpool – is based on the claim that we need to physically eradicate a whole array of chemicals because they hijack people’s brains and cause addiction. But if drugs aren’t the driver of addiction – if, in fact, it is disconnection that drives addiction – then this makes no sense. Ironically, the war on drugs actually increases all those larger drivers of addiction: for example, I went to a prison in Arizona – ‘Tent City’ – where inmates are detained in tiny stone isolation cages (“The Hole”) for weeks and weeks on end, to punish them for drug use. It is as close to a human recreation of the cages that guaranteed deadly addiction in rats as I can imagine. And when those prisoners get out, they will be unemployable because of their criminal record – guaranteeing they with be cut off ever more. I watched this playing out in the human stories I met across the world. There is an alternative. You can build a system that is designed to help drug addicts to reconnect with the world – and so leave behind their addictions. This isn’t theoretical. It is happening. I have seen it. Nearly fifteen years ago, Portugal had one of the worst drug problems in Europe, with 1 percent of the population addicted to heroin. They had tried a drug war, and the problem just kept getting worse. So they decided to do something radically different. They resolved to decriminalize all drugs, and transfer all the money they used to spend on arresting and jailing drug addicts, and spend it instead on reconnecting them – to their own feelings, and to the wider society. The most crucial step is to get them secure housing, and subsidized jobs – so they have a purpose in life, and something to get out of bed for. I watched as they are helped, in warm and welcoming clinics, to learn how to reconnect with their feelings, after years of trauma and stunning them into silence with drugs. The results of all this are now in. An independent study by the British Journal of Criminology found that since total decriminalization, addiction has fallen, and injecting drug use is down by 50 percent. I’ll repeat that: injecting drug use is down by 50 percent. Decriminalization has been such a manifest success that very few people in Portugal want to go back to the old system. The main campaigner against the decriminalization back in 2000 was Joao Figueira – the country’s top drug cop. He offered all the dire warnings that we would expect from the Daily Mail or Fox News. But when we sat together in Lisbon, he told me that everything he predicted had not come to pass – and he now hopes the whole world will follow Portugal’s example. This isn’t only relevant to the addicts I love. It is relevant to all of us, because it forces us to think differently about ourselves. Human beings are bonding animals. We need to connect and love. The wisest sentence of the twentieth century was E.M. Forster’s – only connect. But we have created an environment and a culture that cut us off from connection, or offer only the parody of it offered by the internet. The rise of addiction is a symptom of a deeper sickness in the way we live – constantly directing our gaze towards the next shiny object we should buy, rather than the human beings all around us. The writer George Monbiot has called this “the age of loneliness.” We have created human societies where it is easier for people to become cut off from all human connections than ever before. Bruce Alexander – the creator of Rat Park – told me that for too long, we have talked exclusively about individual recovery from addiction. We need now to talk about social recovery – how we all recover, together, from the sickness of isolation that is sinking on us like a thick fog. Loving an addict is really hard. When I looked at the addicts I love, it was always tempting to follow the tough love advice doled out by reality shows likeIntervention – tell the addict to shape up, or cut them off. Their message is that an addict who won’t stop should be shunned. It’s the logic of the drug war, imported into our private lives. But in fact, I learned, that will only deepen their addiction – and you may lose them all together. I came home determined to tie the addicts in my life closer to me than ever – to let them know I love them unconditionally, whether they stop, or whether they can’t. When I returned from my long journey, I looked at my ex-boyfriend, in withdrawal, trembling on my spare bed, and I thought about him differently. For a century now, we have been singing war songs about addicts. It occurred to me as I wiped his brow – we should have been singing love songs to them all along. This article is based on Johann Hari's new book, ‘Chasing The Scream: The First and Last Days of the War on Drugs’ (available here on Amazon). It tells the story of the epic journey Hari went on to discover what's known about about addiction - and much more. Find out more at chasingthescream.com. openDemocracy and TheatreDelicatessen will be hosting a conversation on the War on Drugs with Johann Hari on Wednesday March 11th 2015 at 7.30pm at 119 Farringdon Road, Central London. Pre-register by sending an email to tony@opendemocracy.net .